Avoid using chemical to unclog a drain.It’s frustrating to prepare dinner with a drain that refuses to cooperate. Every plumber understand the temptation to use drain cleaners to quickly dissolve the grease that’s been clogging your sink drain. But it’s not worth it. High water pressure is a boon whenever you shower, but it actually stresses your pipes and increase the likelihood of a leak. Especially at the joints. Measure your water pressure with a hose bib gauge by attaching it to an outside spigot. If the gauge registers above 40 to 85 psi, you should call a plumber to reduce the pressure. “Sometimes people ask me why I’m giving away trade secrets,” he reflects upon the question and chuckles. “I guess I don’t think about it that way. I’m a professional, and it is part of my job to inform my clients. They are available 24/7 to take your call and offer you same day service and a free visual home inspection. 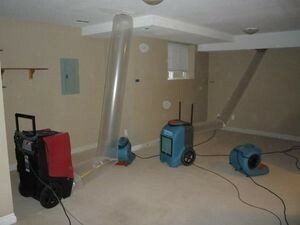 That’s the service you can expect from the water damage restoration team with 911 Restoration Denver, so give them a call today!